An alternative title for Mike Leigh’s dazzling new film about the great artist, Joseph Mallord William Turner, could easily have been Turner and His Women. This is not just a film about the development of Turner’s ability to create the most sublime images, although great beauty is depicted. It is the contrast between Turner’s sensitivity as an artist and his insensitivity towards women that dominates the film and bookends it in the opening and closing scenes. But in other ways Turner could also be incredibly generous and this too is highlighted. Leigh sets out his stall right from the beginning. 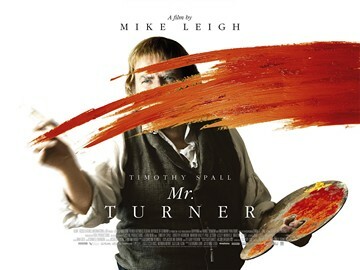 After some artfully done opening credits and a beautifully sweeping landscape scene involving a sunrise, Flemish milkmaids, a windmill, and Turner (Timothy Spall) silhouetted against the sky, reality comes crashing back to earth when Turner returns to his father’s home in London. No sooner has the maid, Hannah (Dorothy Atkinson), appeared to take the artist’s request for a cup of tea, when he reaches up and gropes her breast, before then groping her between the legs. The two of them are clearly already intimately acquainted and, as brutal as Turner’s behaviour seems, it is also invited. Lonely Hannah has feelings for Turner although his urges appear to be purely sexual. Not long after this, Turner’s work is interrupted by the arrival of an angry, poor, ex-lover, Sarah Danby (Ruth Sheen) and the two daughters she has bore the artist. We never learn the history of this particular relationship, but what is clear is that Turner has no interest in Sarah and the children. He simply wants to get back to his easel and canvas. But if Turner behaves poorly towards the women he is involved with, elsewhere he is more selfless. He lends £50 to the indebted artist Benjamin Haydon (Martin Savage), despite the latter’s rudeness born of desperation. Later, when Turner begins painting the works that are now recognised as his greatest, he is publicly mocked by Vaudevillians, and Queen Victoria refers to one of his pictures as “an ugly yellow mess”. Despite these humiliations, when a wealthy collector offers him a fortune for all his works Turner turns him down, saying that his pictures have been bequeathed – “to the British nation”. Turner also firmly defends the reputation of another seascape painter against the criticism of an insufferable, fawning Ruskin (Joshua McGuire). Timothy Spall’s portrayal of Turner is one of the great performances of the year. He learned to paint over several months in order that his applications of brush to canvas would be convincing. His Turner is a great grunting force of nature, drawing crowds of onlookers as he leaps and spits on his canvasses, before smearing the oils into mysterious pre-impressionist clouds and seas. At one point, he has himself lashed to the mast of a ship in order that he can experience a storm at sea. From this he creates a masterpiece, Snow Storm. Steam-Boat off a Harbour’s Mouth. However, he also suffers the consequences in the form of a bad bout of bronchitis. He is tended through his illness by Mrs Booth (an outstanding performance from Marion Bailey), the twice-widowed landlady of his lodgings in Kent. Turner enters into a secret relationship with her and she is the one woman who he genuinely cares for and treats decently. As you might expect, Mr Turner contains some gorgeous landscape and seascape scenes. At one point we see Turner and some associates heading out to sea in a small boat, as clouds scud across a red sky above them. A large ship is being brought towards land by a tug and we realise we are watching the scene that became the classic picture The Fighting Temeraire. Even though this scene must have been a digital creation, it is still beautiful, and when I recognised what it was it brought a lump to my throat. With numerous excellent performances, splendid cinematography, and a fine musical soundtrack, Mr Turner is very much a film worth seeing. When newspapers first began to publish the revelations that had been passed to them by Wikileaks, there were many who remarked that international diplomacy would be impossible unless those involved could be assured of secrecy. However, in what must be one of the most important negotiations of recent times, the peace settlement between Serbia and Kosovo, writer and director Karen Stokkendal Poulsen managed to obtain both fly-on-the-wall access and interviews with the key participants. The psychological warfare between the two sides, and the steady hand of EU Chief Negotiator Robert Cooper in steering them towards an agreement, make The Agreement a fascinating and gripping documentary. The negotiations take place in a small office in Denmark, where Cooper wonders if it is best to sit looking towards the window where you can view Danish architecture, or to sit facing the wall upon which hangs a Goya painting of two cats engaged in a stand-off. Kosovan negotiator Edita Tahiri wonders, with heavy metaphorical intent, if perhaps one cat has not recognised the other. Serbian negotiator Borko Stefanovic wonders if one cat might end up dead. It is the blond Tahiri who, superficially at least, presents the more friendly figure, but there is no mistaking the steeliness behind her smile. Stefanovic, for much of the time, is harder to read, rarely smiling, and is the more easily provoked of the two, at one point launching into a rant about how he objects to being lectured. However, at other times Stefanovic seems genuinely warm, and you wonder how much both negotiators must be feeling the weight of expectations on their shoulders. We get a glimpse into the backgrounds of Tahiri and Stefanovic, too. Tahiri, more directly involved in politics when she was younger, had spent a period of time hiding in the basement of a house during the Serbia-Kosovo conflict. Stefanovic had played in a rock band called Generation Without A Future, for which he has to put up with a certain amount of ribbing in the Serbian parliament. Roger Cooper is every bit the experienced urbane diplomat, though not beyond displaying irritation when he considers that one side is behaving badly. He notes that at the point when important negotiations are settled, it is always late at night when everyone is tired and no-one cares anymore; thus, they don’t realise that they are making history. It is quite an achievement that writer-director Karen Stokkendal Poulsen should have managed to capture this piece of history. In August 1943 Rome became an “open city”, abandoning all defensive efforts in the expectation that it would no longer be bombed. The following year, Rossellini began shooting a documentary about a priest who was involved with the Italian resistance. Partway through, he decided to combine this with another story about the resistance activities of children in Rome. Thus was born his neorealist classic Rome Open City. The story revolves around the Nazis’ attempt to capture the leader of the resistance, Georgi Manfredi (Marcello Pagliero), who has been hiding out in a multi-occupant tenement block. One of the other occupants is Pina (Anna Magnani), pregnant by another resistance fighter, Francesco (Francesco Grandjacquet), who she is due to marry the next day. Father Don Pietro (Aldo Fabrizi), who is to perform the ceremony, gets called upon to deliver a package of money for the resistance. Shortly afterwards the streets are rocked by an explosion, which turns out to have caused by the local children bombing a Nazi target. The following day, the day of the wedding, the Nazis come for all the men. In the tradition of Italian neorealisim, Rossellini adopts documentary-style shooting in the exterior shots. The one outstanding exception to this occurs following the children’s evening bombing raid, when we see them silhouetted against the light in the background as they come running over the brow of a hill, heading towards the viewer. It is a truly glorious moment. And of course the backdrop for all the outdoor scenes is not a studio set, but the actual city of Rome as it was in 1944. Many of the performers were not professional actors, but everyone is suited to their role, and we feel that we could be eavesdropping on genuine conversations. As is so often the case with serious subjects, the impact of the most tragic moments is rendered all the more powerful by the inclusion of some quite comic scenes. However, when we get to the torture scenes, despite the fact we see almost nothing of what is actually happening these really make the viewer squirm. The whole process of torture is overseen by the Nazi Major Bergmann (Harry Feist), whose camp portrayal is hard to imagine being allowed in a serious modern film but nonetheless serves here to make his character even more chilling. 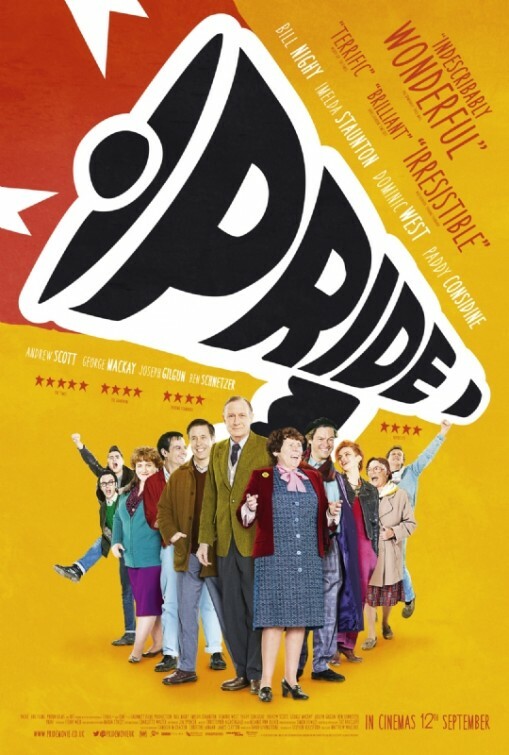 Showing at the British Film Institute until 5th April 2014. From the title alone you know that this film is going to be pretty grim viewing. However, for anyone concerned that 12 Years a Slave might be worthy, but not cinematically fulfilling, then I would urge them to think again. This is not a perfect movie, but it is a very fine and important one. The story begins in New York, where we encounter the talented violinist Solomon Northup (Chiwetel Ejiofor). He meets two men who offer him a two-week job on an out-of-town tour. We next see Northup sharing a fine meal with the two men who are clearly plying him with drink. Sometime later Northup wakes up in chains in a darkened room, and his miserable ordeal has begun. He is taken to a slave market, where he is sold to plantation owner William Ford (Benedict Cumberbatch). Ford turns out to be relatively enlightened, and when Northup devises a scheme for efficiently transporting logs down a waterway Ford presents him with a violin as a mark of gratitude. However, Northup is harrassed by the racist carpenter John Tibeats (Paul Dano), who eventually rounds up his white friends to lynch Northup. Northup only survives this episode due to the intervention of Ford, but Ford explains that his own life will be endangered if he continues to protect him. Thus, Northup is sold on to another slave owner, Edwin Epps (Michael Fassbender), who puts his slaves to work picking cotton. Epps believes that the Bible gives him the right not just to own, but to abuse, slaves, and he forces his desire on the slave-girl Patsey (Lupita N’yongo). In this terrible environment Northup must hide his intelligence in order to survive, especially as Epps becomes ever more demented. As most potential viewers of 12 years will undoubtedly agree that slavery is a bad thing, one might ask just why it is that this film is worth seeing. The answer to this is that it is one thing to intellectually know that slavery bad, but it is another thing to understand at a visceral level just how bad slavery is. With that understanding, perhaps, can come an even greater appreciation of the anger felt by the descendants of slaves in western societies who nonetheless remain victims of discrimination. Two moments in the film stand out as particularly brutal. In one, Patsy is whipped so severely that the weals on her back could only have looked worse if this had been shot in 3D. Arguably even more distressing than this, is a scene in which Northup is strung from a tree in such a way that the only way to avoid strangulation is to stand on tip-toes for hours. Whilst he does this we see people going about their business in the background as though nothing were untoward. There are a number of performances in the film that have been rightly praised as outstanding. Chiwetel Ejiofor is utterly convincing as Solomon Northup, using his face more than words to convey the inner turmoil of a man who must suppress his intelligence and his rage. Lupita N’yongo as Patsey likewise shows us the utter desperation of a woman who would rather die than suffer further abuse and humiliation at the hands of Epps. And Fassbender himself, as Epps, gives us a portrait of a man for whom slavery appears to provide a vehicle for the deranged expression of his own inner demons. If the film has shortcomings, then one of these must be the third-act appearance of Brad Pitt, whose superstar presence is a real distraction at that point. Secondly, in terms of dramatic tension, it is perhaps a little churlish to criticise a film for staying true to the real-life story (I have not read Northup’s own book, but I believe this is the case). However, most films present us with a series of emotional ups and downs that keep tension alive. In 12 Years, by contrast, things start bad, get worse, and then get really worse again. And because most people will know that 12 Years is based on the real-life Northup’s account of his ordeal, we also therefore know that the movie Northup must survive his ordeal. In this respect, I did feel that the film, while unflinchingly brutal, nonetheless lacked a certain degree of dramatic tension. Such quibbles aside, however, with so few Hollywood movies touching on the topic of slavery 12 Years really is an outstanding achievement.